Meat is meat, right? That’s why Australia’s leading meat industry super fund, AMIST Super, has been working hard to show the white meat industry what the red meat industry has enjoyed for more than 30 years. 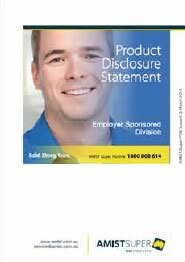 A superannuation fund that specialises in providing what meat industry employees need. Solid returns, low fees, personal service and additional benefits designed specifically for the industry. 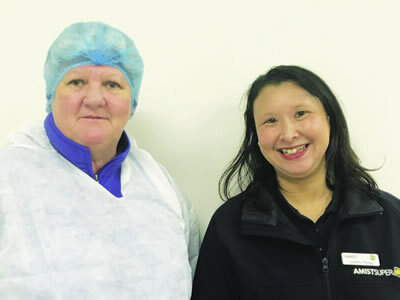 Case in point: AMIST Super Client Services Manager, Justine Young, has been visiting leading Australian poultry producer, Baiada, every quarter to help members with their super. She’s done presentations to more than 1,600 staff and as a result of one of those presentations, Sally Dunne, a senior member of the Baiada team decided to roll her super into AMIST Super. Justine assisted Sally with her application and once the new account was set up, Sally provided the authority to transfer her existing super into AMIST Super. Sally had been with a leading retail super fund for quite some time, so she was about to experience the instant benefit of lower fees just as a starting point. From there, she will benefit from AMIST Super’s solid investment returns, competitive insurance cover and the fact that AMIST Super is the specialist meat industry fund. If you’d like to do a super search, call the AMIST Super Hotline on 1800 808 614 or ask for assistance when you next see one of our Client Services Managers at your workplace.